Pristine & immaculate western exposure Tapps Island waterfront*One owner home*Refreshed in & out*Enjoy sunsets from your outdoor paradise featuring covered living w/stamped concrete, manicured yard, built in gas grill&bar, gas firepit, bulkhead, boat lift, dock, sprinkler system*Cool A/C for warm summer days*3 bedrms+office*Open concept kitchen& family rm w/granite island, eating area&views of the lake*Formal living/dining*Lots of storage*Open water views+ protected cove swimming*Move in ready! Lot Size: 0.29 Acres / 12500 Sq. Ft.
SchoolsClick map icons below to view information for schools near 2810 206th Avenue Ct East Lake Tapps, WA 98391. 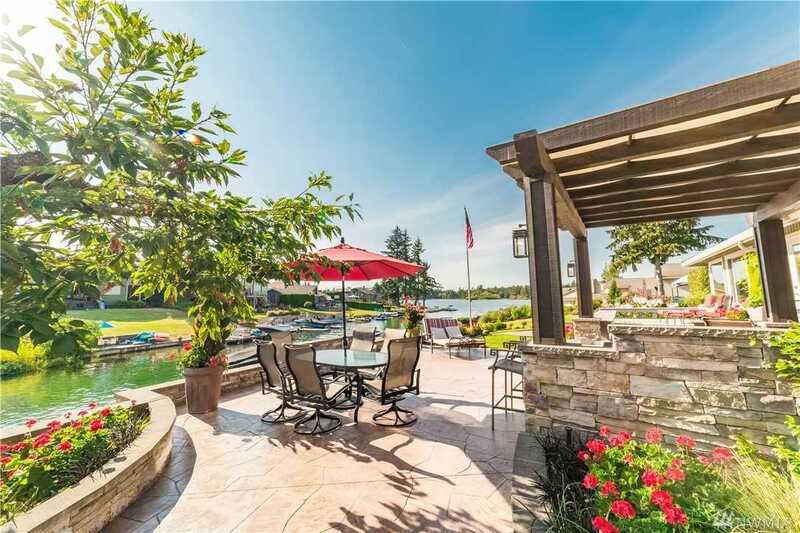 Lake Tapps Real Estate at 2810 206th Avenue Ct East Lake Tapps, WA 98391. Description: The real estate listing at 2810 206th Avenue Ct East Lake Tapps, WA 98391 with the MLS# 1401054 has been on the Lake Tapps market for 99 days. This property located in the Tapps Island subdivision is currently listed for $885,900. You are currently viewing the property details of the NWMLS listing at 2810 206th Avenue Ct East Lake Tapps, WA 98391, which features 3 bedrooms and 3 bathrooms, and has approximately 2125 sq.ft. of living area.